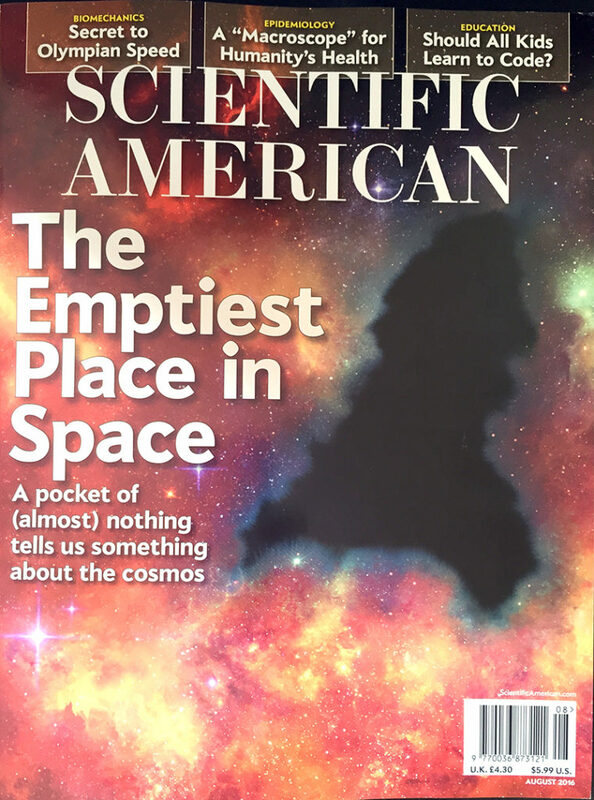 The title The Empty Place comes from a Scientific American cover which has an image of the emptiest known place in space. The painting takes on the colors of the light surrounding that location. The text contains measure numbers corresponding to the music, notes about the color or location of stars and nebulae, and notes about other structural features or expressive qualities of the music. Sonata K365 is the subject of another painting, Human-Readable Time, and I have devoted a great deal of attention to this particular composition. The Empty Place is based on the very last section of the sonata, with the hollow-sounding fifths and the open space in-between them.